Daryl Johnson (Worcester Park, United Kingdom) on 29 May 2011 in Documentary & Street and Portfolio. To be honest, this weekend in Paris revolved around: catching up with old friends, eating and drinking. Not a lot of 'cultural' activities... but with Paris being so easy to get to from London; why not? Even the shadows are French . . I expect they make them locally ! @Ronnie 2¢: It wouldn't surprise me Ronnie. Café Bistrot Limonade ... la belle vie. Nice B&W composition !! A typical view of Paris with the cafes. A nice atmosphere. It is also that the life, to take advantage of all its good moments simply ! Beautiful image in beautiful light and B&W ! With cafes this nice, I would probably stay there all day. A beautiful shot. 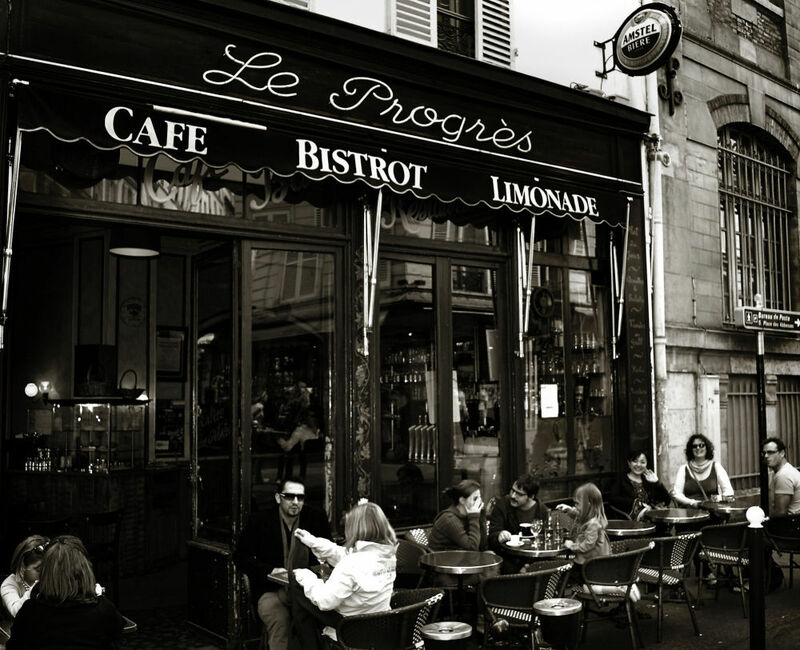 Nice capture of a typical Paris café and street scene ! Where was it ?